A trust is a fiduciary arrangement that allows a third party, commonly referred to as a trustee, to hold assets on behalf of a beneficiary or beneficiaries. Trusts can be set up in many creative and powerful ways and can specify exactly how and when the assets pass to the beneficiary or beneficiaries. Because trusts are specifically created to avoid probate, your beneficiaries will likely get access to your assets that you choose to leave for them more quickly than assets that are transferred using just a simple will. It gets better! If your trust is an irrevocable trust, the assets in the trust may not be considered part of the taxable estate, so fewer taxes may be due upon your death which, is often a serious burden that heirs are saddled paying. When assets in a trust are able to pass outside of probate, much time is saved, needless court and attorney fees are eliminated, and estate taxes are potentially reduced or eliminated too. 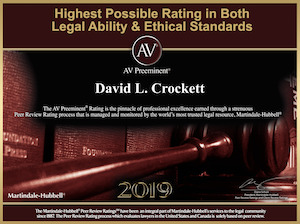 Orange County Trust Attorney, David Crockett can answer your questions and help you design the perfect trust to meet your goals. 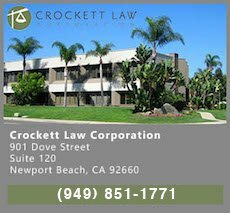 Call Mr. Crockett at (949) 851-1771 to schedule a free introductory meeting. Trusts are used to hold money and property for specific periods of time, and to pay out the money and property according to detailed written instructions. Trusts are used to safe-keep money and property and prevent it from being paid out in lump transfer to your heirs at age eighteen (18) when young adults are unlikely to make wise choices with the treasure you want to benefit your heirs into their mature adult lives. Trusts are used to save estate taxes by “generation skipping.” Trusts are used to keep an heir from having the responsibility of handling significant money and property that he or she may not be able to handle responsibly or in a mature manner, that they will be better able to as they mature in life-years. Trusts can also be used to benefit charities by causing money to be paid out over a period of time, rather than all at once. Trusts of certain types can be used for asset protection by keeping creditors of the Trustors and/or of the Beneficiaries from reaching the money and property in the trust. Finally, trusts can be used to save estate and income taxes. A trust is created by a written document known as a declaration of trust, and is then funded by transfer of money into trust bank accounts and/or deeding or transferring of properties to the trust. The creator of the trust is known as the “Trustor” or the “Settlor.” Trusts can be and usually are custom tailored to meet the specific needs and desires of the Settlor (the creator of the trust). Trusts should be prepared by an experienced attorney as each trust is almost always “totally customized” for the the creator and the creator’s unique circumstances. Moreover, there are many types of trusts, and choosing the wrong one can be disastrous. Using an online forms service can and has cost people significant pain and anguish. Hiring an experienced attorney is not very expensive. Beneficiaries – The persons who are to receive money and property out of a trust are known as the “Beneficiaries”. In many types of trusts, the Trustor (creator of the trust) may also be a Beneficiary as in a living trust created to avoid probate. Trustee – The person or institution that takes care of the money and property of the trust is the trustee. The trustee is bound by law to follow the directions contained in the declaration of trust. The Trustor (creator of the trust) may also serve as the Trustee in some situations. Revocability – A living trust is typically made to be revocable during the lifetime of one or both of the Trustors and thus the Trustors can pull out money and property during their lifetime. A living trust can also be made permanent, i.e. irrevocable. If irrevocable, money and property cannot be removed and must stay in the trust for as long as specified in the declaration of trust. A testamentary trust is, by definition, irrevocable, since it is not effective until your death. I encourage you to reach out to make that free introductory meeting with me by calling (949) 851-1771. There is absolutely no pressure whatsoever. Typically, people will want to sit down with a trust and estate planning lawyer to discuss what types of trusts might be needed for your very specific life situation and I am pleased to offer that service to residents of Orange County and beyond.